Our Proprietary Content Management System (CMS) was created by our SEO and Development team, to ensure full functionality as well as following best practices for search engine optimization. This comprehensive platform can be used by websites of all sizes with great success. 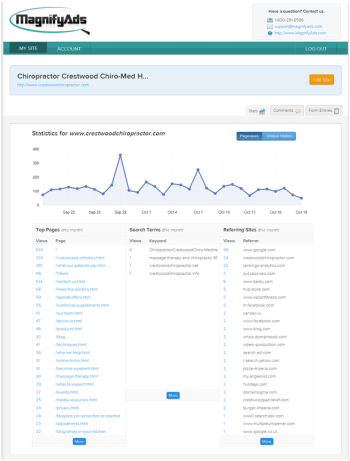 Monitor your daily page views and referring links with built in Google Analytics and Webmaster Tools.